Living on a farm, I have the pleasure of enjoying a bountiful variety of the farm fresh fruits and vegetables that we grow. Most I like, some I don’t, but nothing ranks right up there with our delicious Jersey Fresh Peaches. I hold them in high esteem. In fact, summer does not officially begin for me until I take my first juicy bite out of one. Yes, peaches are my weakness. The more juicy, the better – the kind of peach that when you bite into it, the juice runs all the way down your arm. Yum! 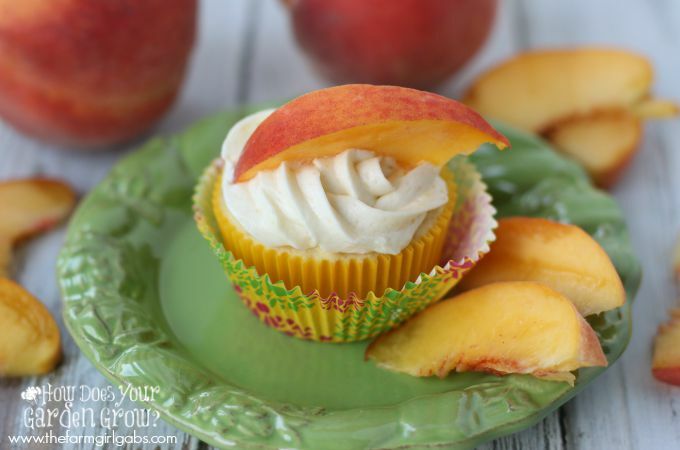 I also have a weakness for anything baked with peaches too – cobbler, pie, muffins and these delicious Peaches & Cream Cupcakes. Peaches & Cream Cupcakes are made with fresh peaches baked in delicious cupcake and topped with a mouthwatering peach buttercream icing. These beautiful creations are not only loaded with a lot of peaches from our farm but made with Pillsbury Purely Simple White Cake & Cupcake Mix and Pillsbury Purely Simple Buttercream Frosting Mix. There are three ways to describe this cupcakes. Simple. Easy. Delicious. 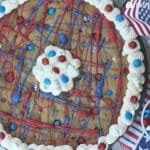 Pillsbury Cake Mixes really make baking simple. These mixes have no artificial colors, flavors, or preservatives. That is a two thumbs up right there! I purchased both the Pillsbury Purely Simple White Cake & Cupcake Mix and Pillsbury Purely Simple Buttercream Frosting Mix at Target. These mixes can be found in the baking needs aisle. Don’t forget download the Target Cartwheel app to save 25% on any Pillsbury Purely Simple product at Target (while supplies last). Sweet and juicy peaches take center stage for these cupcakes. I added them to both the cupcakes and frosting so there is plenty of peach flavor. Don’t you just want to lick the bowl? Once the batter was finished, I used an ice cream scoop to portion it out in the muffin tins. Using an ice cream scoop is a great kitchen hack because each cupcake is perfectly sized. Do you see all those delicious chunks of peaches in there. Sweet! For the buttercream icing, I added pureed peaches instead of water which gave the icing a delicious peach flavor. I allowed the cupcakes to cool completely before I iced them. I used a baking tip to pipe the icing on the cupcakes. If you don’t have one, it’s alright, just use a spatula. Again, can you see all the specks of peach deliciousness? 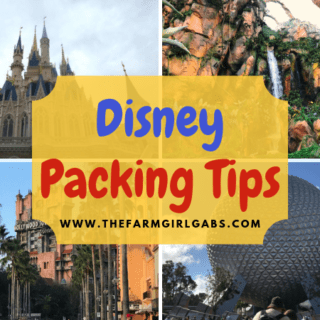 Preheat oven to 350 degrees and line 2 muffin tins with cupcake liners. Peel and finely chop peaches and set aside. Add the Pillsbury Purely Simple White Cake & Cupcake Mix to a mixing bowl. Add the butter and sour cream. Beat on medium until incorporated. Add the chopped peaches and mix on low until incorporated. Use an ice cream scoop to evenly fill the muffin tins. Bake for 20-25 minutes until a toothpick comes out clean in center. Peel peach and remove pit. Add to a food processor to lightly puree. Just pulse a few times. Add icing mix to a mixing bowl along with butter. Beat on medium until incorporated. Add peach puree and beat on medium high until light and fluffy. If needed, add water if icing is too thick, one tablespoon at a time until desired consistency is reached. Using a pastry bag and star decorator tip to pipe on cooled cupcakes. 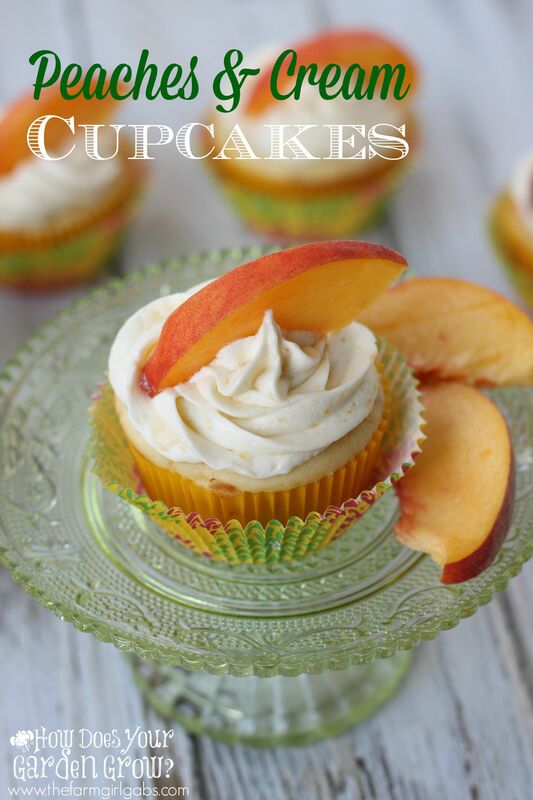 This Peaches & Cream Cupcakes rank right up there as one of my all-time favorites. I love how simple these were to make by just using the new Pillsbury Purely Simple Cake Mix. What is your favorite cupcake to make or eat? Leave a comment below. I hope you give these a try.